Universitat Pompeu Fabra is the youngest university of Catalonia. It was created in 1990 as a radically urban university. 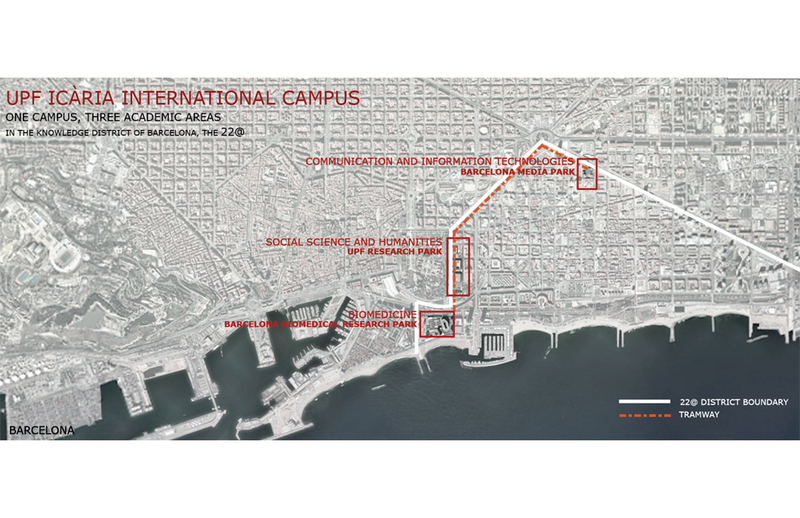 The social sciences and humanities Campus is located in the centre of Barcelona and initially occupied three historical buildings. The Campus grew around this three buildings during the following 15 years. 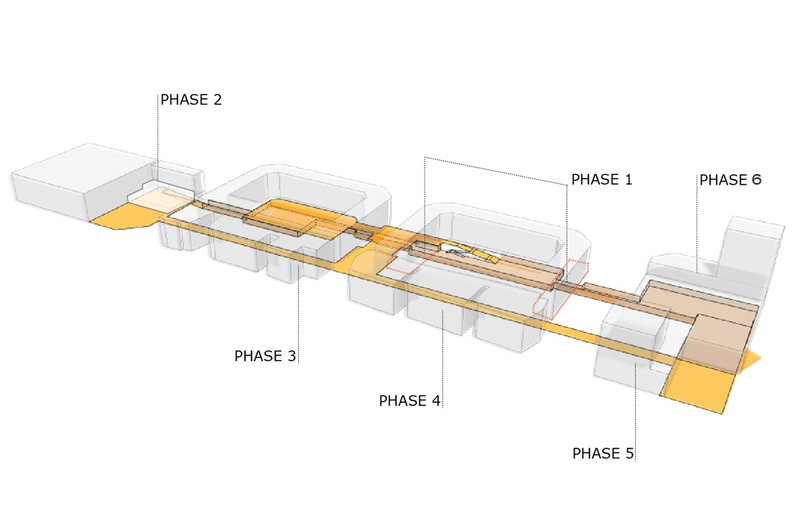 The implementation of Bologna plan from 2006 required a deep reconsideration of the future development plan. 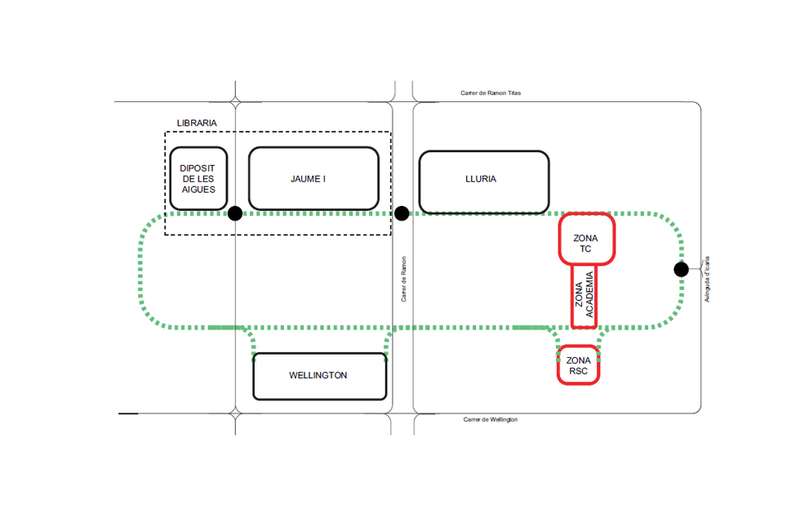 The plan operates a different scales, from metropolitan connectivity to interior design to evaluate the current situation and the potential opportunities for the future development. 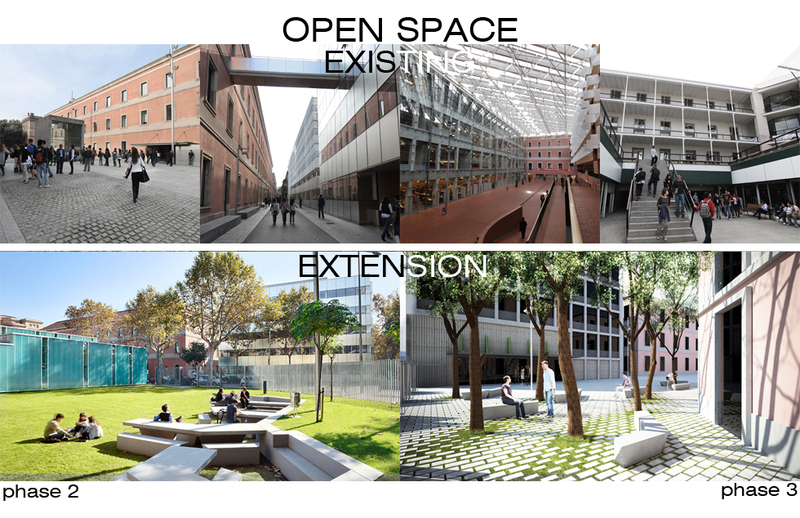 At a Metropolitan scale, UPF assumes the city as part of the Campus and has the potential to build a metropolitan network of partnership with other public and private facilities such as libraries, research centres, private companies or students residences. 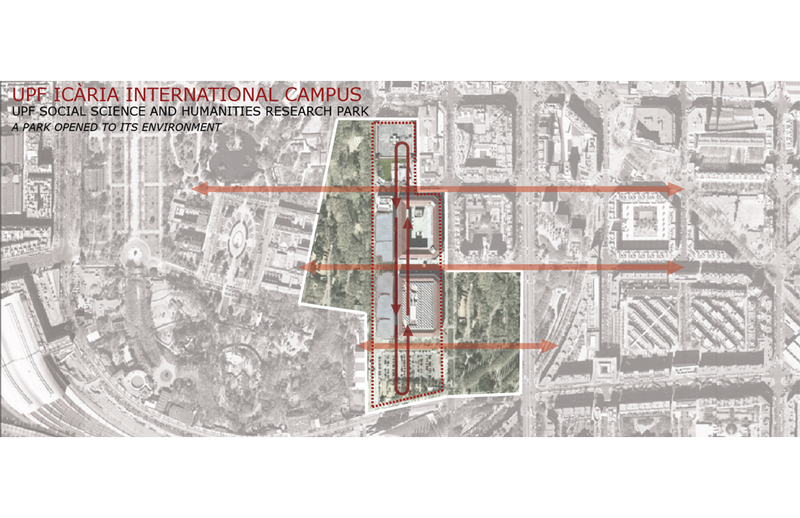 At an urban scale, the Social Sciences Campus requires strong internal structure that can be articulated by connecting all the existing and isolated relational spaces and completing this ring with some new spaces that should incorporate green as its main identity. Although, its urban condition requires permeability to related the San Martí district with the Ciutadella park through it. 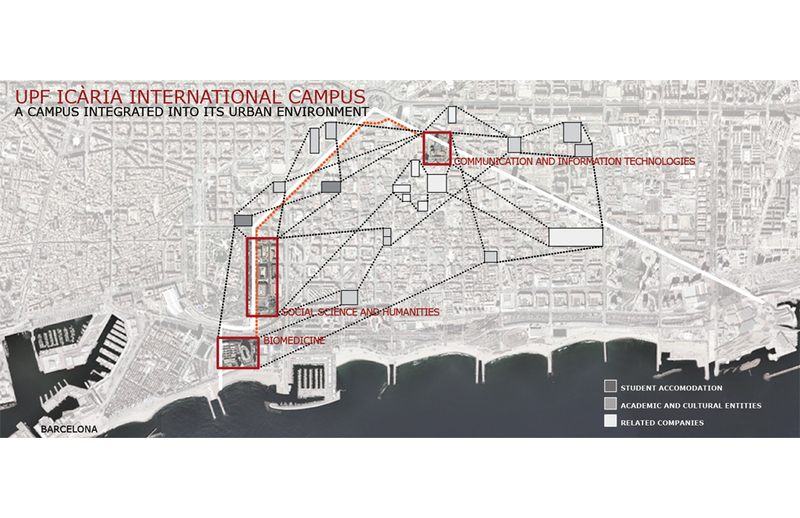 At a local scale, the Campus requires a multiple speed growth development plan wich starts with the recovering of obsolete spaces inside the buildings in use, continues with an emergency extension and will finish with the construction of a large scale extension in the south plot which is now the parking for the Ciutadella zoo.